Suddenly the Maplewood hyperlocal web neighborhood is crowded. The mighty NY Times today launched two local websites, each staffed with a full-time, veteran Times reporter. One site is in Brooklyn, the other covers Maplewood, South Orange and Millburn. Venture capital-backed Patch.com also focuses on its recently launched Maplewood, South Orange and Millburn sites for now, but clearly has bigger ambitions. The company’s About page lists 20 staffers and says “Patch is run by professional editors, writers, photographers and videographers who live in or near the communities we serve, and is supported by a great team in our New York City headquarters.” The site is largely focused on the snowstorm today, and recently covered an appearance at a local bookstore by former New York Gov. Mario Cuomo. The well-capitalized newcomers are contending with the original local Maplewood site, Maplewood Online, started by Jamie Ross way back in 1997. Over the years Jamie has branched out and created sister sites for South Orange, Millburn, West Orange, Montclair, Summit and Morristown. Maplewood Online for years was a one-person show. Jamie told me today that his brother moderates the message boards shared by all of his sites, and he has a friend working for him as well. He did much of the coding for the sites himself, and graphically, the sites have a distinctly 1990s web aesthetic. Jamie also is a standup comedian and local concert organizer, but says MOL and its sister sites are his primary source of income. He’s a 1992 Rutgers graduate, with a technical background, rather than journalism. The Times’s local site is part of the newspaper giant’s effort to find new revenue streams to bolster its cratering primary business. In the past five years the company’s stock price has plunged from the upper $40s to about $4 per share today, and throughout the country long-time daily newspapers are going out of business or declaring bankruptcy. Schachter said the sites will be accessible through an address linked to the Times’ home page, such as www.nytimes.com/fortgreene. They may expand to other communities if successful. For those wondering why we chose Maplewood, Millburn and South Orange, when there are so many new Web sites and publications on paper here already, it’s very simple, actually: The Times wanted me to launch this experiment in New Jersey, and I live in Maplewood. And I knew the conversation here would be rich, fun and meaningful, because intriguing people live here, and for good reasons. Jamie Ross’s theory was that the Times and Patch.com both started in the Maplewood region because there already is a booming online community in the area — Jamie has 8,000 registered participants on his message boards, and the flagship site has a frontpage script that currently reads, “There have been 6,927,419 visits to this page since August 20th, 2001.” But Tina said no, it really was just as simple as the fact that this is where she lives. For a website focusing on the hyperlocal market, it seems remarkably hard to connect with anyone from Patch.com. There is no phone number or email address on the website itself, and I’ve sent out a dozen feelers to local editors and New York staff via Twitter and LinkedIn, as well as using the site’s feedback page. The only NYC phone number listed for Patch Media Corporation turns out to be a lawyer’s voicemail. One of the local staffers eventually contacted me on Twitter and said she would try to find someone to talk with me, but that was the last I heard. Maybe they can weigh in in the comments. Clearly there’s a market for local information on the web — it’s just not clear how to make any money generating it. It’s also not clear to me whether it’s worth my while delving into the local market myself from time to time, as I have today, or if I should just stick to my primary interest in national politics. So this is an experiment — I’d love to get feedback in the comments. Update: Hey, since when did the venerable News-Record of Maplewood and South Orange start being available online? And why wasn’t I notified? More seriously, why doesn’t Worrall Community Newspapers Inc. (parent company of the N-R and its sister publications) promote the website on the front page of the print News-Record? All there is now is a nondescript URL — www.localsource.com — sandwiched between the date and the price. Last time I looked at localsource.com it was a mess, and you couldn’t find Maplewood stuff on it. 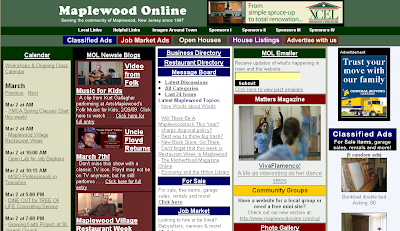 Now, Maplewood.LocalSource.Com seems to have most of the N-R content, and a fair amount of advertising. 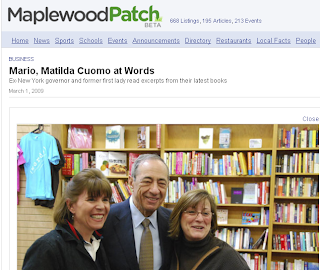 So I’ve corrected my headline — there are FIVE hyperlocal sites in the Maplewood BlogolopolisTM. This entry was posted in Uncategorized and tagged About Me, Maplewood, MSM, Patch by Kirk Petersen. Bookmark the permalink. DR, thanks for the comment. I hope to connect with someone at Patch today. There’s a lively conversation about this post and the hyperlocal Maplewood web scene over at MOL. One update to the info above, Jamie checked his records again and now indicates there are 9,000 registered users, not 8,000. Based on the source of most of the recent visits to this site, I believe him. Thanks for a great blog post. I must admit that since I live up in Connecticut, I only scanned the post. However, I am paying very close attention to what is going on with the world of hyperlocal news. Here in Connecticut many of our newspapers are cutting staff or shutting down altogether. It is especially bad for local weekly papers. I try to fill some of the gaps in my own blogging, even though much of my initial blogging was on the national politics level. I do believe local coverage is very important. The question is, how good will the coverage be? Will there be any investigative reporting? Will the details and underlying issues of local government meetings be covered? 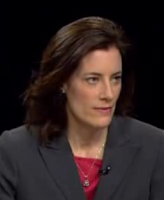 Will there be serious reporting about how stimulus money is being spent? I think this is where the big issues are. So, I hope things sort themselves out in Maplewood and that you get some good local coverage. I also hope that up here in Connecticut we get some good serious local news coverage.